The leaps in engineering and industrial advancement established by these Icons (all thought to be impossible by the masses) also created the basis for today’s Contemporary Sustainable design community as its technology continues to grow exponentially. 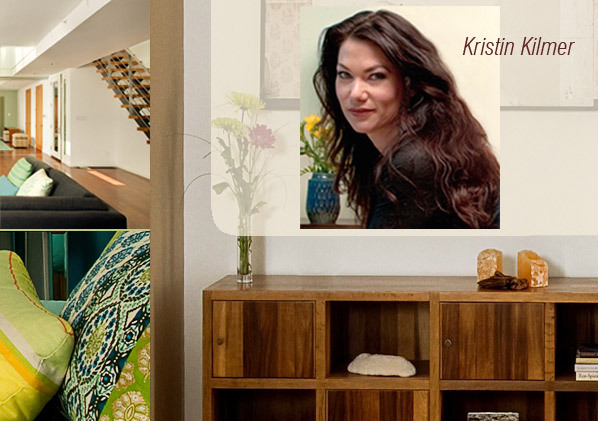 In honor of these architects and their respect for the environment, Kristin now combines their theories and practices with the most current, unique materials and her “Eco Modern Luxury” approach to design healthy, evocative and functional environments. Her company demonstrates that sustainable design can be luxurious with countless options, yet still apply the fundamental green values of energy efficiency, renewable resources, recycled materials and non-toxic finishes. Kristin Kilmer Design, Inc. is also committed to creating public awareness on toxicity in the home and their resulting health disorders, as our community cannot save the planet if its populace is unwell. Kristin attended Instituto Europeo di Design, an Italian Interior Architectural School in Madrid, Spain. Her passion for European culture also inspires her personal design aesthetic.